No more that a month ago, around 1800 Mozillians got together in 3 different locations around the globe for the Mozilla Summit. It's a huge number and it's getting bigger. I don't consider myself a long-time Mozilla contributor (I started actively contributing about 3 years ago), but I was always close to the project. Close enough to know that we came a long way over the last couple of years. We grew as a project. Exploring new directions (Webmaker, Journalism, Education) and trying once again to save the Open Web building new cool products that people love to use (Firefox OS). We grew as a community. Last Summit (about 3 years ago) had around 600 participants. Today we are a community of nearly 2000 Mozillians, both paid and volunteer contributors. And these two aspects are inseparable. None of these new adventures would have been possible without this rapid growth of the community. There are many reasons for this, but one of the most important accelerators was the fact that we had contributors engagement on the ground. 2.5 years ago Mozilla Reps was born, a programme to empower people and give them the ability and the necessary means to engage with potential contributors, to build and support local communities, to inspire people and spread the word about Mozilla's mission. I can still remember the time where the local communities where contributing almost exclusively on localization. Which is important of course, but doesn't help alone on shaping the future of Mozilla project in the way that it's happening today. We opened up contribution paths and opportunities that changed the nature of Mozilla project for ever. It wasn't even that common for people to organize events back then, or get support. Today Reps are organizing (or helping other Mozillians organize) events in a rate of 3 events per day! We managed to streamline the budget and swag requests, resulting in awesome events, like Firefox OS App Days. Something that would be impossible 3 years ago. Today Mozilla Reps, spread around the world, are keep doing awesome community building work facing the challenge of keeping up to speed with the a vastly growing community. 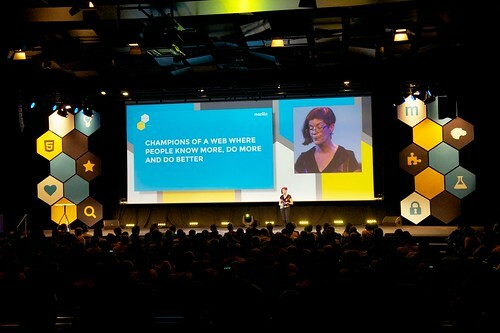 Always trying to inspire even more people, engage more contributors and serve Mozilla's mission for an Open Web.